Lady Rain works as a daytime stock trader and writes about crafts and travels. She spends her weekends doing papercraft models and painting. 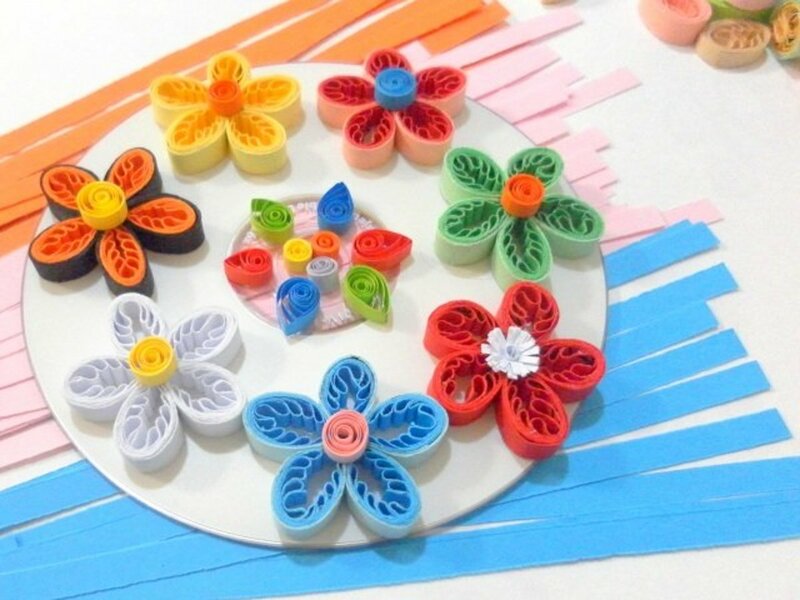 Paper quilling is a therapeutic activity. Like most art and craft activities, it requires you to spend time planning and to use your creativity to dream up beautiful artwork. Flowers and butterflies are a great representation of happiness and liveliness. We are going to work on butterflies first. 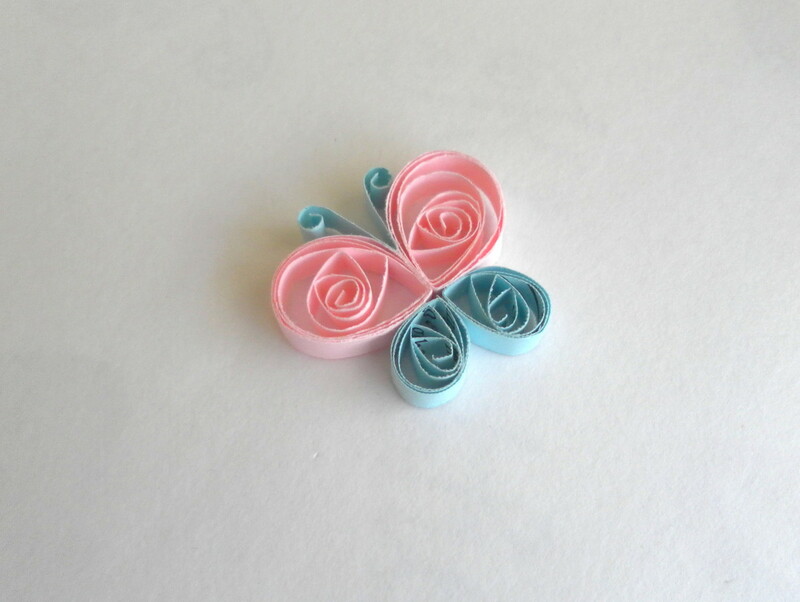 In this tutorial, you will learn to make butterflies that complement quilled flowers. 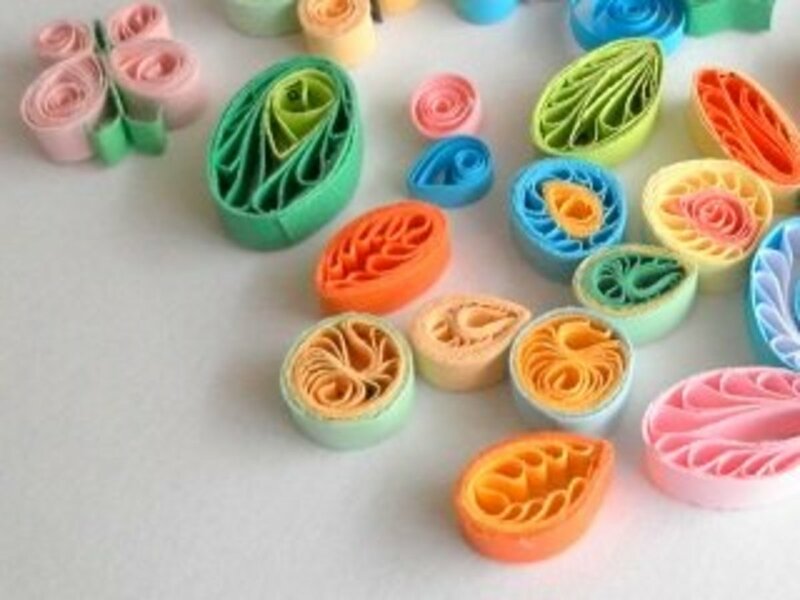 We're not recreating insect anatomy here, so some of the smaller body parts can be omitted in our quilling designs. 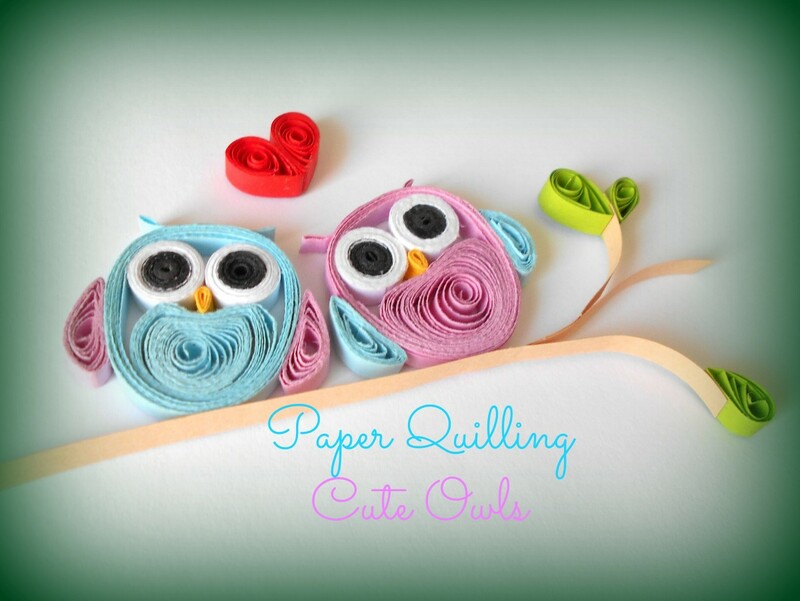 We want to make our quilled butterflies as adorable and pretty as possible. 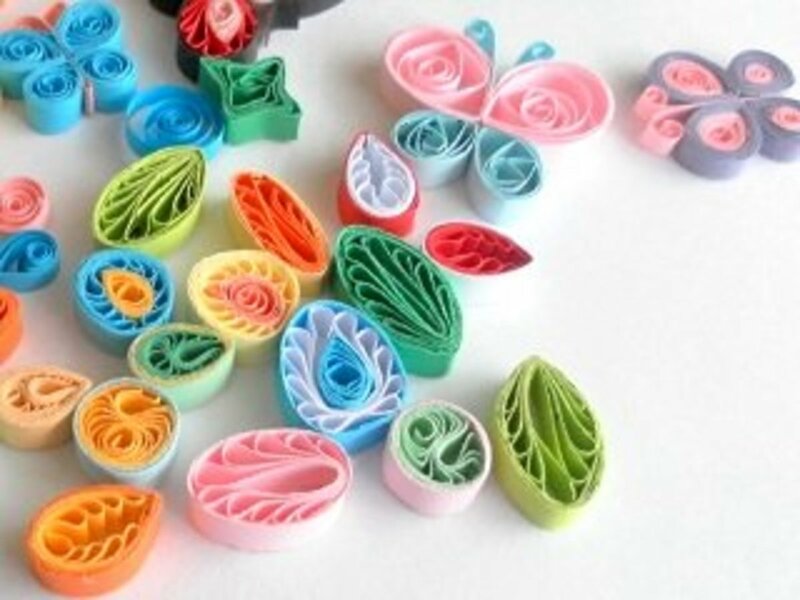 Colored Quilling Paper: You only need a few strips. 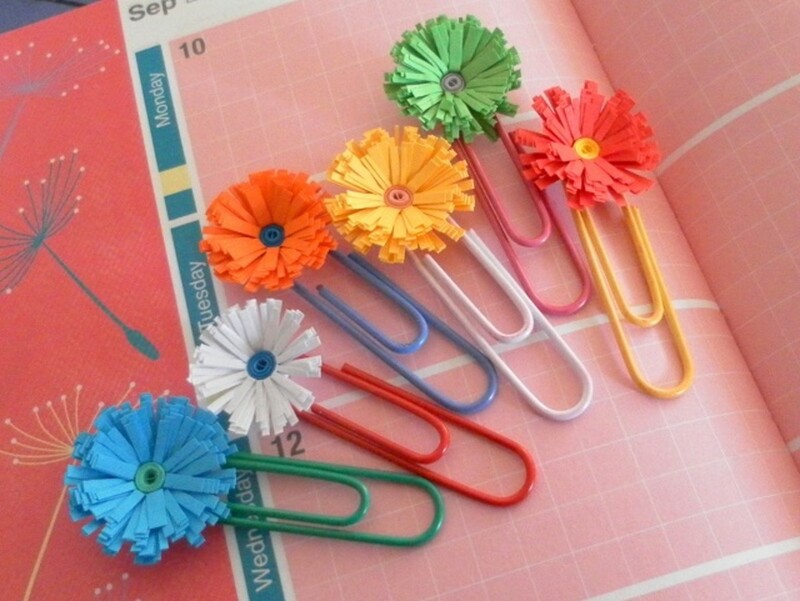 Quilling Board (optional): A quilling board can help you create same-size coils. Our butterfly will have six parts: four wings and two antennae. You may add more parts if you want to create your own design later on. Make two large coils and two small coils for the wings. 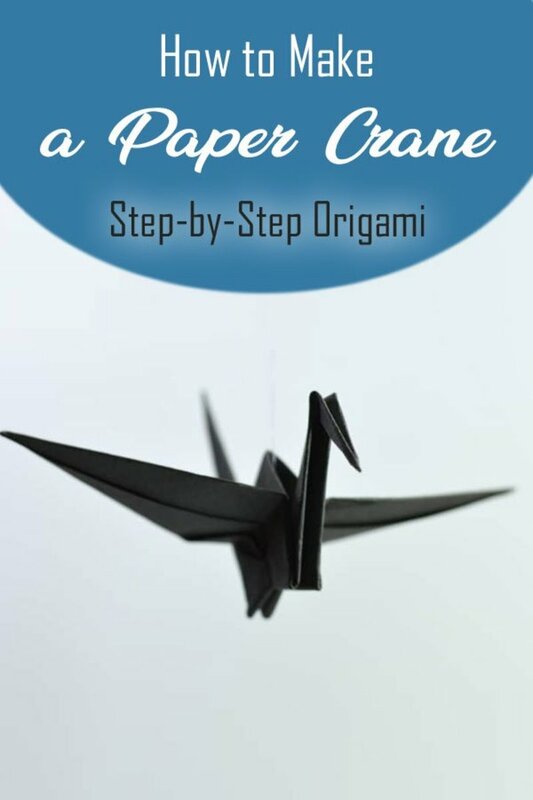 Shape the wings and arrange them to form the shape of a butterfly. Use two small strips of quilling paper for the antennae. Apply a small amount of glue to hold all the pieces together. Here is another simple butterfly design that requires two wings, the abdomen, and antennae. Make one large coil and one small coil. Shape the coils by pressing or pinching them. Make a crescent-shaped coil for the abdomen. Slightly curl two small strips of paper to make the antennae. 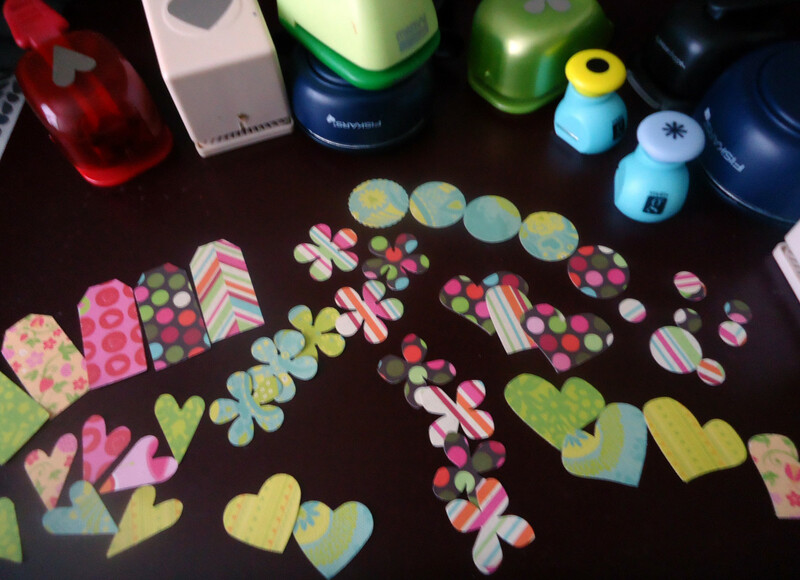 Arrange the coils to form the shape of a butterfly and glue the pieces together. 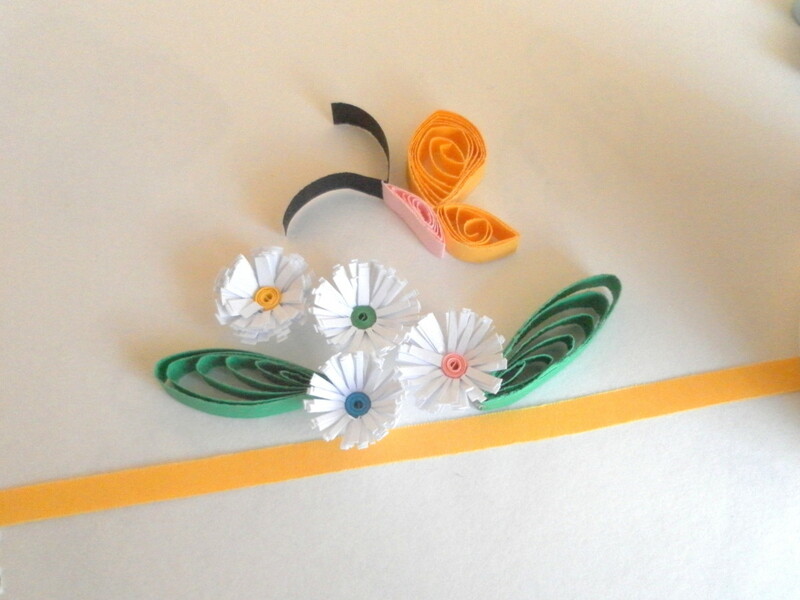 Add some quilled fringed flowers, wheatear coil, and huskings leaves around the butterfly to create a masterpiece. It's that easy! 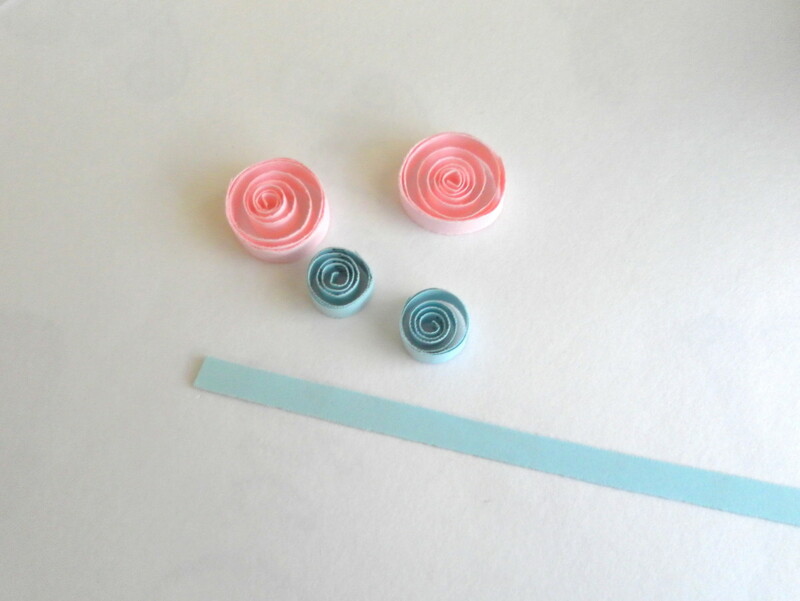 Incorporate different colours for the coils by using several strips of quilling paper with multicolors and shades. 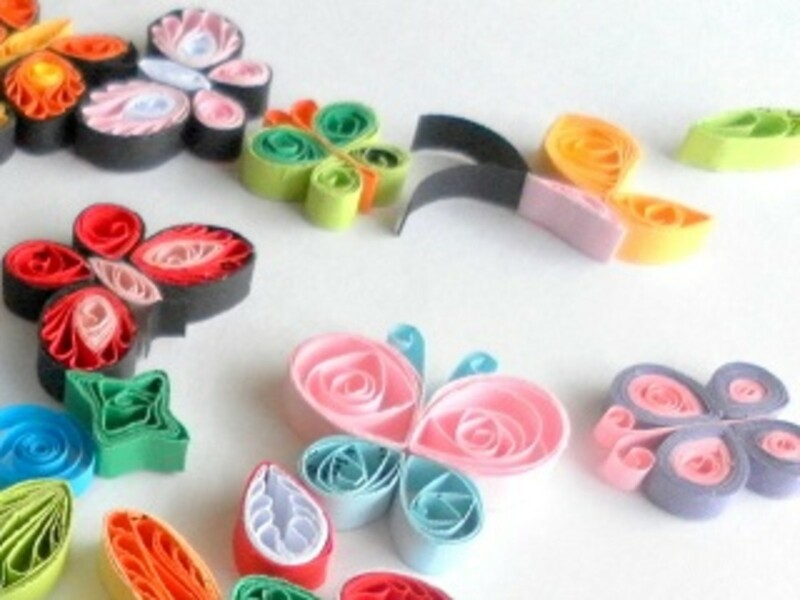 Change the sizes and shapes of the coils by using quilling paper strips of different widths and lengths. 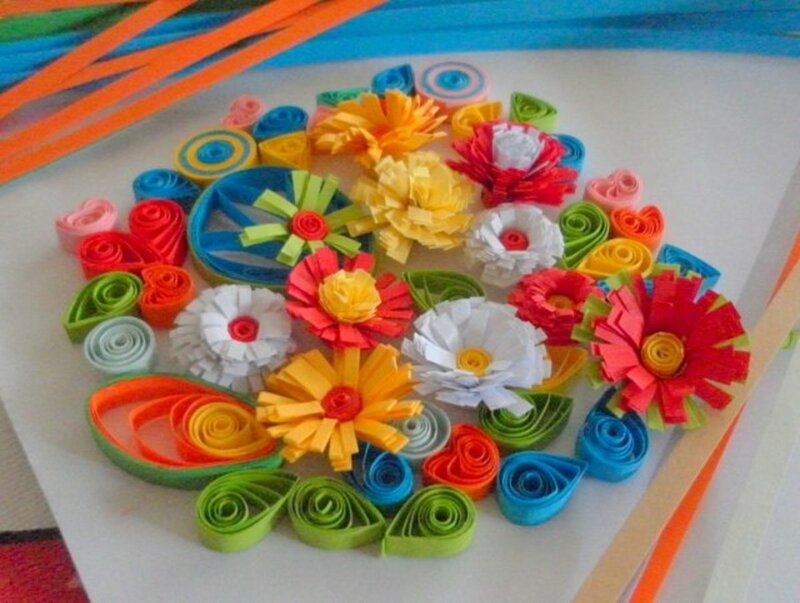 You will be amazed at what you can do with a bundle of quilling paper strips combined with your own creativity! 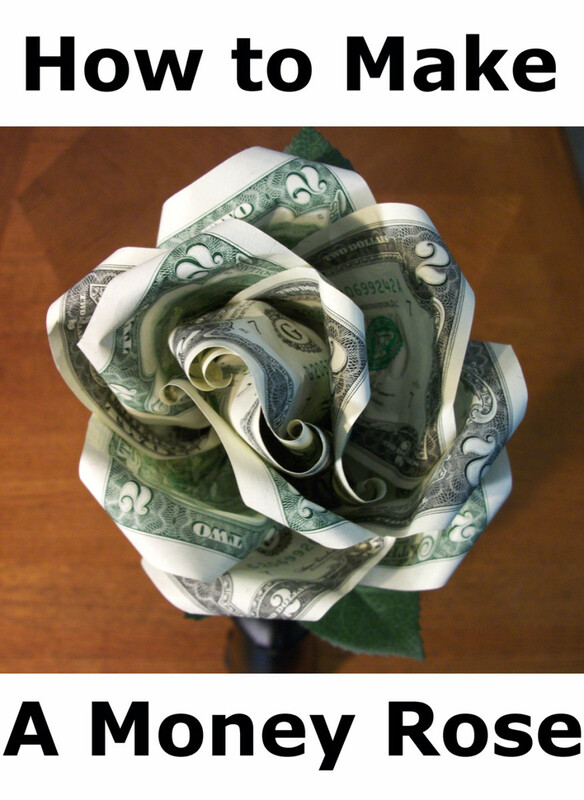 Where's the flower part of this tutorial? You make it seem so easy. The butterflies and flowers are so pretty. 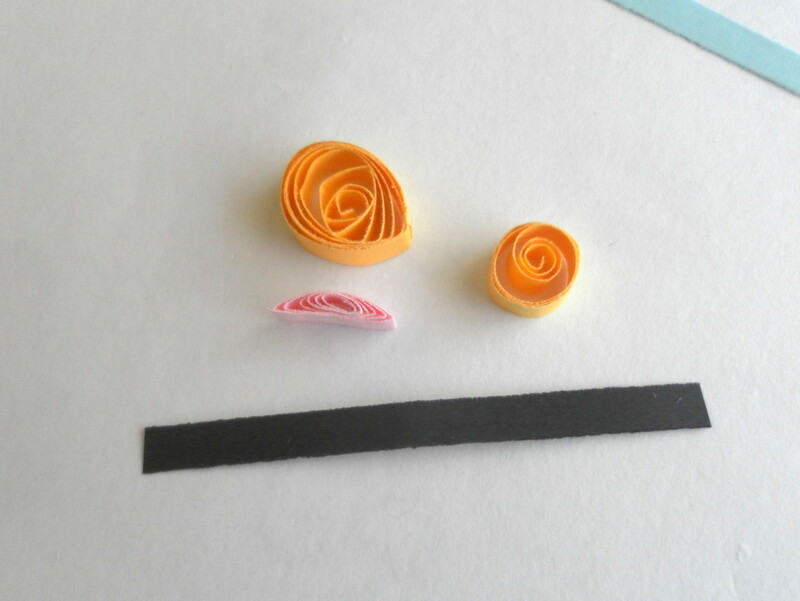 I think I need to take out my quilling supplies and try again. They are beautiful! Thank you so much! Sharkye11, great idea - I should work on that wreath too! Thank you for stopping by to leave a comment. Wow!! Very beautiful butterflies! They are so bright and cheerful. These would be great on an Easter wreath! 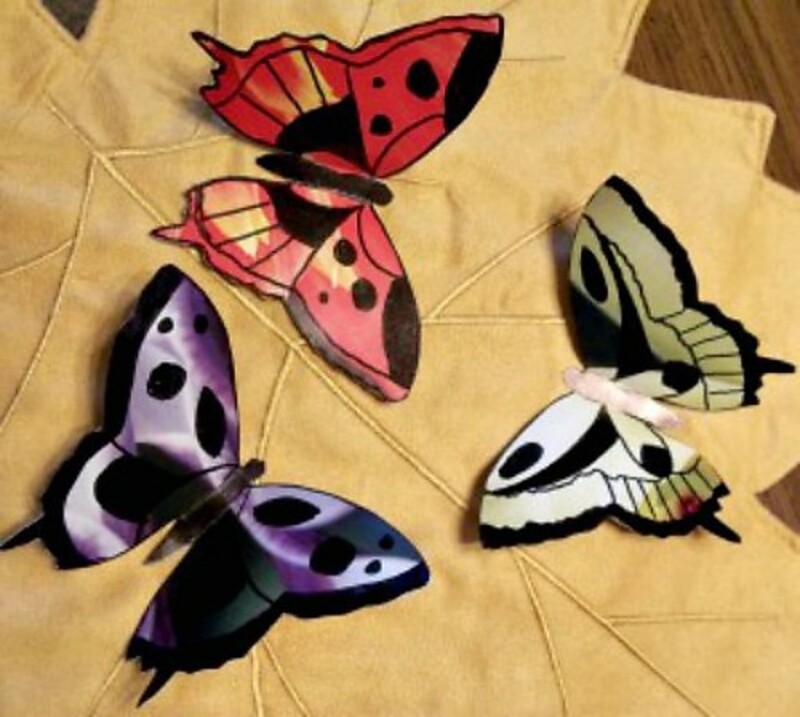 Shrikrishnap, thank you, I hope you get to make some of these butterflies. 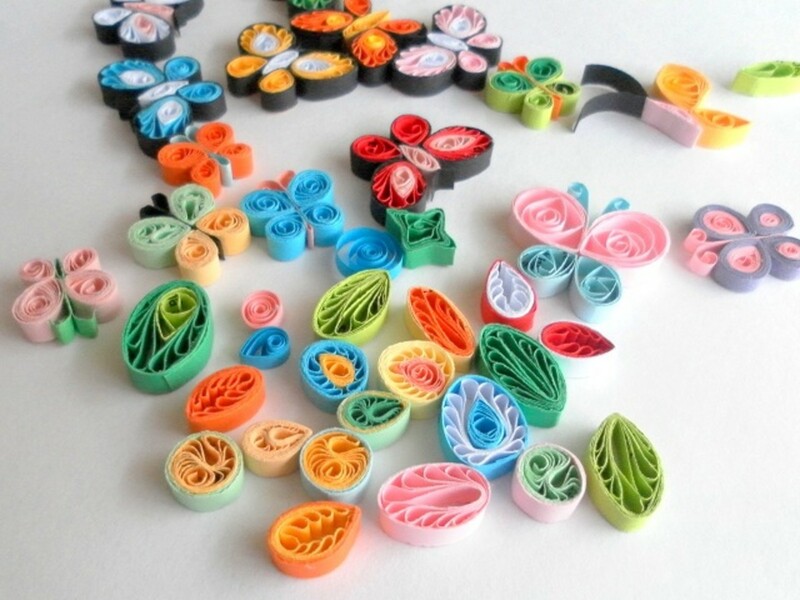 Enjoy the quilling! So lovely! The colors are so incredible! I would love to translate something like this to the quilts I make. Wow very beautiful Hub. This is one of best forms of being more and more creative. Excellent butterflies. I will definitely like to try this. 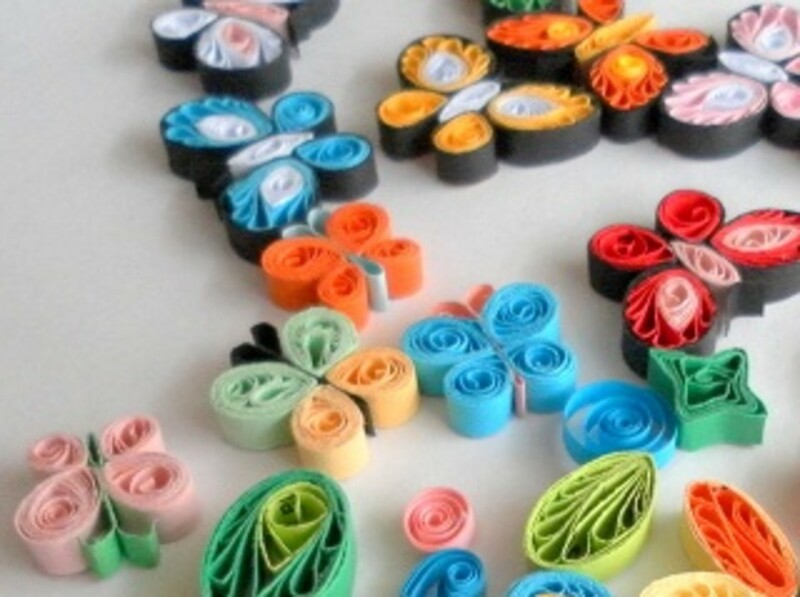 algarveview, paper quilling is a great activity for both crafty adults and children. 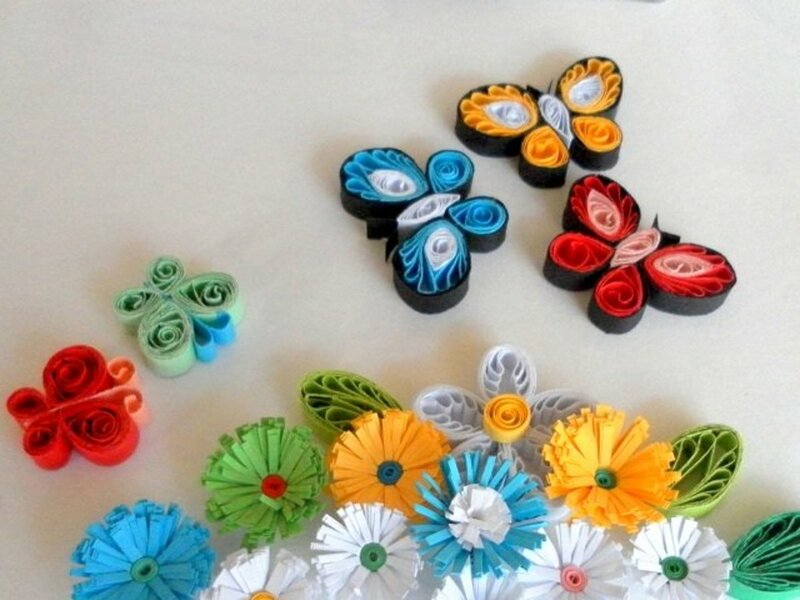 I am sure you and your little girl will enjoy making the butterflies and flowers. Thank you for leaving a comment and voting, cheers! Very pretty love them. They don't look to hard to do. Enjoyed your hub voted uP! 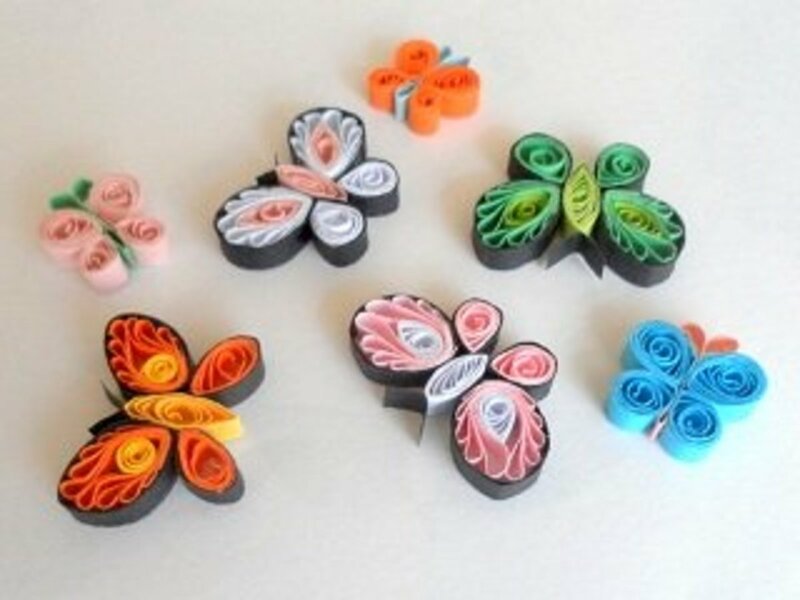 Hello, Lady Rain, such beautiful butterflies and flowers, lovely idea, I think my little girl would just love to do some... Great activity for these rainy days... Loved it... Voted up and interesting, sharing and pinning! Take care!